This week, Moz released a new feature that we call Spam Score, which helps you analyze your link profile and weed out the spam (check out the blog post for more info). There have been some fantastic conversations about how it works and how it should (and shouldn't) be used, and we wanted to clarify a few things to help you all make the best use of the tool. 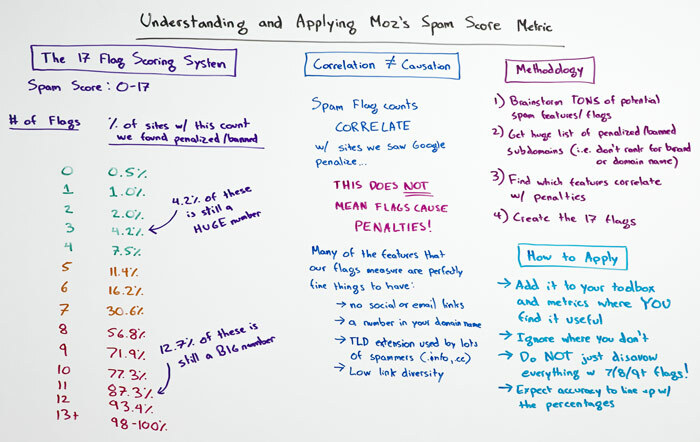 In today's Whiteboard Friday, Rand offers more detail on how the score is calculated, just what those spam flags are, and how we hope you'll benefit from using it.